I'd like to thank Yvette for recommending Murder at Shots Hall by Maureen Sarsfield. I was able to get it quickly from interlibrary loan and finish it even more quickly! If you like Agatha Christie or P.D. James, you'll probably like Murder at Shots Hall--it's set in a tiny, relatively isolated English coastal village during a patch of particularly wet and foggy weather. I particularly liked the humor sprinkled throughout the book, usually originating in the homespun observations of Sergeant Congreve and the crabbiness of Dr. Abbot, the medical examiner. On the subject of domesticity, Dr. Abbot complains, "There ought to be a law against it...I haven't got a wife, and I shan't ever have a wife. But if I had, and I had to watch her sitting there...year in year out, surrounded by yards of mending wool, knitting wool, needles, thread, pins and foully diseased paper patterns, being domestic, I'd kill her" (Sarsfield 105). My only complaint was that I wanted to see more of Deputy Chief Constable Mahew and his wife, because they're rather like Nick and Nora Charles: "On the morning of December 2nd, at 8.30 A.M., [Mahew] stuck his head round the corner of Mrs. Mahew's bedroom door and said, 'Woman you will stay in bed till your cold's better, and to hell with you. Even with a red nose you look more beautiful than the rising sun'...They had been married for exactly twenty years and accomplished the impossible. They still liked each other enormously, admitted it, and never quarreled. This fact still astonished them" (Sarsfield 40-41). I highly recommend Murder at Shots Hall, especially now that dreary weather is on the horizon--it's beyond-perfect fireside reading. Love the title of this post. 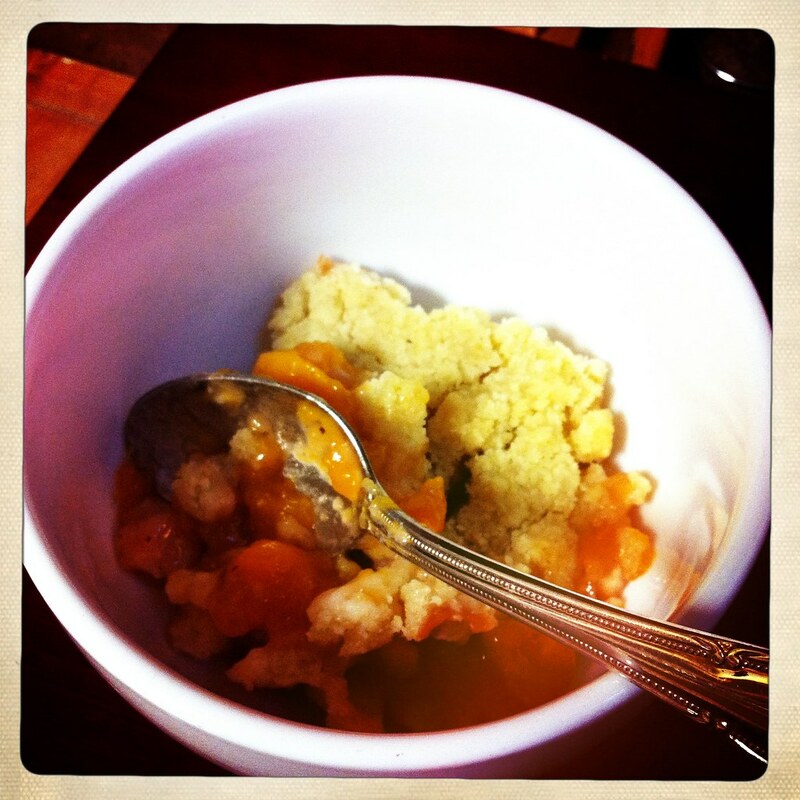 Curling up with ths delicious peachy dessert and a good book. What could be better? 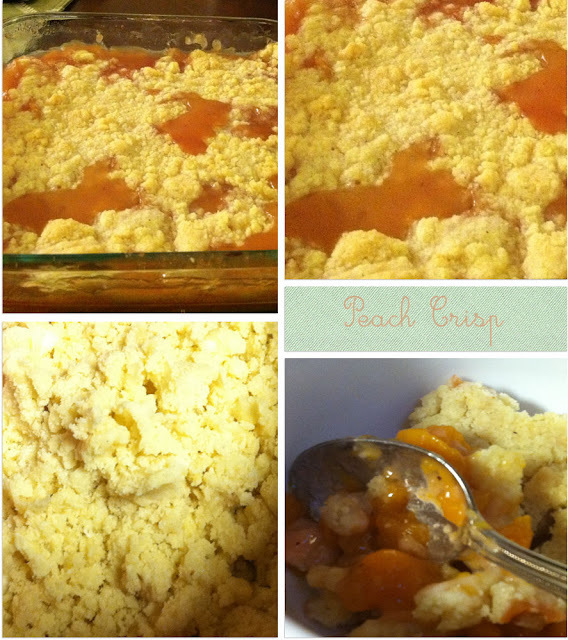 Your peach crisp looks amazing! I made an apple crisp this weekend. Now I want to make something with peaches! Hi! 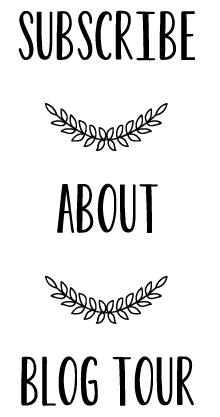 I found your blog and I like it so much! It seems delicious, I have to try it! I love any article/blog title that mysteriously ends with....murder. Hee hee. Sounds like a good read. I'll have to check it out. Wish I had this peach crisp recipe a couple of months ago. When our tree decides to go crazy again with the produce, I'll be sure to use it! Irinja- I had to laugh when I read "idyllic" and "relaxing"! You should see my messy house! :-) I'm happy most of the time and I try to relax, but I don't always succeed! Life is always such a work-in-progress, isn't it? Wow, it looks so good. When I was in Arnhem last week I visited there really nice English Tea Room and had there really nice and tasty Cornish pasty! Wonderful. Thanks for the plug, Lauren. Much appreciated. I loved Chief Constable Mahew and his wife too, by the way. What a lovely marriage. Oh, if only Sarsfield hadn't disappeared! 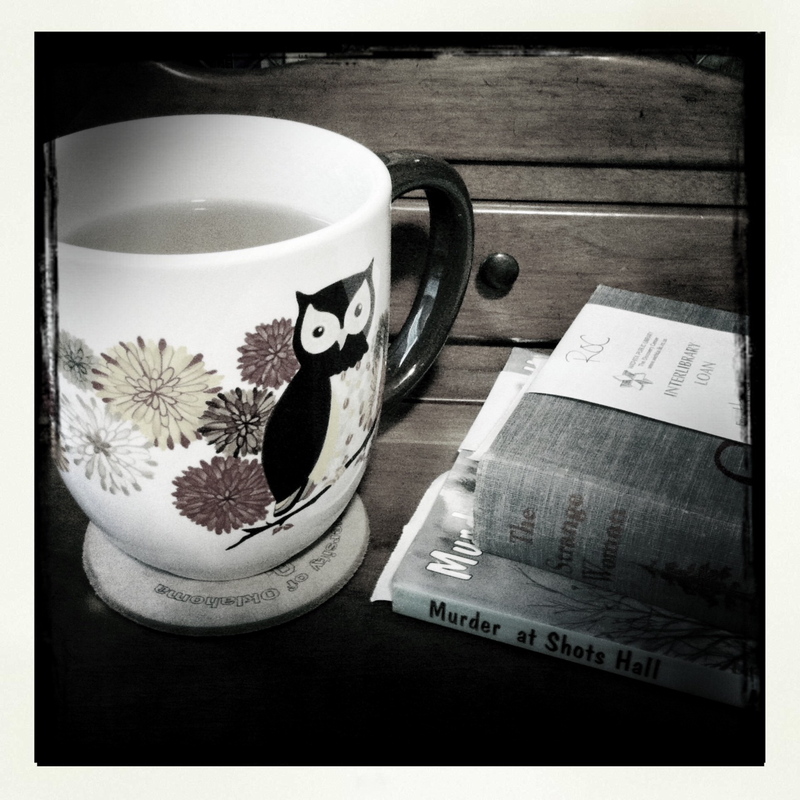 I adore your owl mug, soooooo cute! Again... looking soo good, I'm almost sniffing the air to smell it. 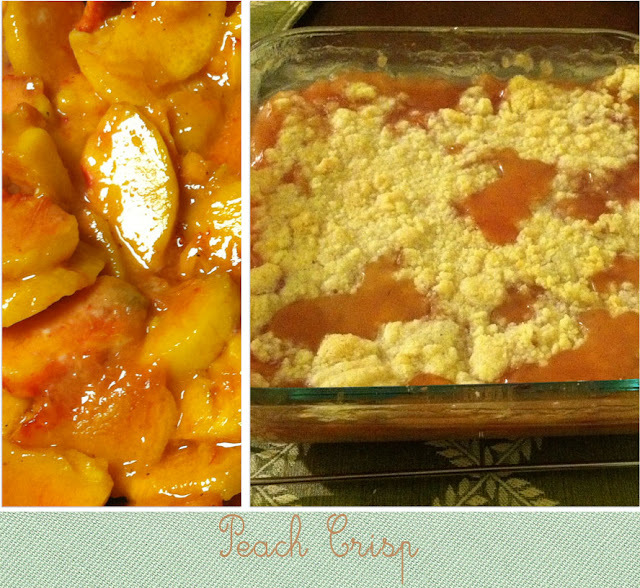 Oh, peach crisp is one of my favorites! I use my mom's apple crisp recipe, too, but with a dash of cinnamon instead of nutmeg. Yours looks perfect! I am so not a pie maker but gosh darn, this looks good! What a lovely crisp! Curling up with a bowl of it and this book sounds divine. Just wrote down the title to check out...thanks for the recommendation! ohhhh my god this looks so good!!!! I wish I had a place to bake here so I could give this a try! What a gorgeous dessert! I am a sucker for a fruit based dessert. I also want to steal your groovy owl mug. The crisp looks delicious. I love peaches so I'm sure that this would be right up my alley. Thanks for sharing on Sweet Indulgences Sunday.